I can’t say season three is the half-hour drama’s best yet; it’s a little underdeveloped, so that the character arcs aren’t always sufficiently clear. 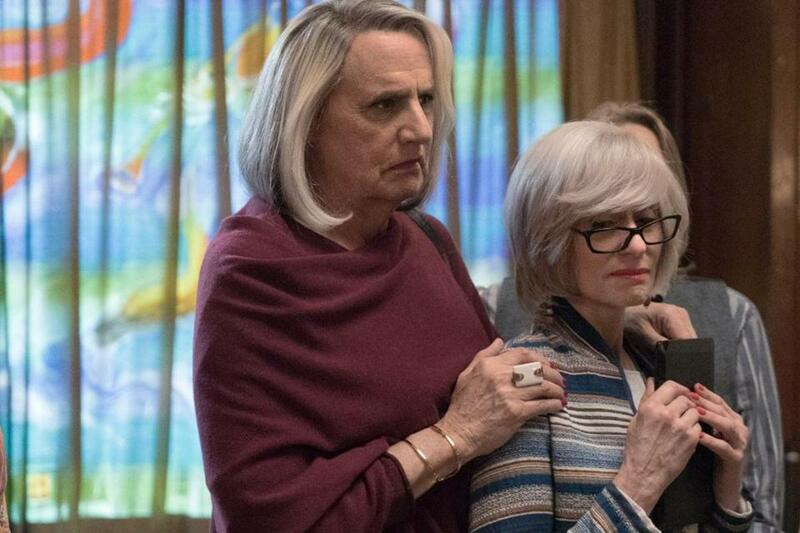 But still, “Transparent” remains an absorbing, rich, infuriating, and painful look at identity, our ability to change despite others’ wishes that we stay the same, gender questions, generational inheritance, sibling dynamics, and, particularly this season, American Jewishness. And it’s all crowned with a profoundly good performance by Jeffrey Tambor as Maura. But I come to heap praise on Judith Light, who plays Shelly, Maura’s ex-wife. She is majestic this season, (small spoiler) which culminates with her stage performance of Alanis Morissette’s “Hand in My Pocket” as part of her one-woman show, “To Shell and Back.” After watching Light turn the song into a bittersweet anthem of independence, singing with her heart and soul on the line, I will never again hear that song in the same way. I resisted Light’s performance on “Transparent” early on. Her Shelly seemed overplayed, especially compared with the other more realistic performances on the show. At times, I felt as though I was watching a spoof of an older, maternal Jewish woman. But this season I found Shelly to be more dimensional and emotionally relatable than ever before, not least of all thanks to flashbacks of her as a young woman (nicely played by Molly Bernard of “Younger”). In that look back, we see why Shelly may be attracted to men with secrets, and why her anxiety level is generally high. Like many of the people she is surrounded by, Shelly comes out of the closet on that one-woman stage, and she is simultaneously feeling the power and freedom that go along with it. Light captures it all beautifully.